Dr. Mark E. Richards, board-certified plastic surgeon and founder of Ageless Impressions Plastic Surgery Institute, is committed to helping patients achieve their aesthetic goals by offering a broad array of the most popular and innovative cosmetic treatments available. Extensively trained in a comprehensive selection of procedures, including breast augmentation, tummy tuck, rhinoplasty, and cheek lift surgery, Dr. Richards has devoted his life to becoming a respected and esteemed leader in the field of plastic surgery and establishing his practice as a destination for cosmetic enhancement. 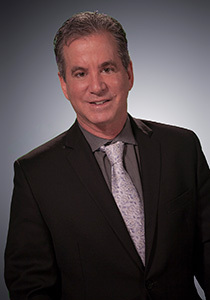 Dr. Richards began his career as an undergraduate at Yale University, where he earned his Bachelor of Science degree with honors and first developed an interest in plastic and reconstructive surgery. Determined to pursue a career in this relatively new and growing field, he then attended the University of Maryland School of Medicine and discovered an abiding passion for aesthetic enhancement – improving form and function. Following graduation, Dr. Richards completed extensive training in both general surgery and plastic surgery, undertaking an additional seven years of specialized instruction. He was certified by the American Board of Surgery in 1989 and the American Board of Plastic Surgery in 1991. He is an advocate of and active participant in continued medical education (CME). Having lived his early years in the wider Washington, D.C. region, Dr. Richards decided to settle in the district he had grown to love after completing his training. He subsequently has been named a top surgeon both nationally and in the DC, Maryland, and Northern Virginia Metropolitan area. Dr. Richards is a world renowned board certified surgeon. He cares deeply about his patients and has taken plastic surgery to a level where it’s art. I have had excellent results from several procedures with him over the years. He makes you look more beautiful while looking natural! He will be my surgeon for life. A plastic surgeon is a physician with extensive training in cosmetic and reconstructive surgery for the entire body. A person who becomes a plastic surgeon must graduate from medical school and attend a general surgery residency and an American Graduate Medical Education Board-approved plastic surgery residency. This gives the physician a comprehensive education in the relationship between bones and soft tissue, and allows them to treat aesthetic concerns, birth defects, trauma-related injuries, and more. Many surgeons then go on to complete additional training, as Dr. Richards did, to become even more proficient in their career. If your surgeon is not certified by the American Board of Plastic Surgery, he or she is not a real plastic surgeon. Plastic surgery is the only board certified field of medicine in which repair, restoration, and enhancement of the face and body is performed for functional and aesthetic reasons, while cosmetic surgery is dedicated to improving beauty of the face and body, often without a deeper understanding of form and function. That is why you will often see plastic surgeons state that they perform plastic and reconstructive surgery. In many cases, plastic surgeons primarily offer cosmetic surgery options in their practice. Although trained to provide reconstructive treatments, over many years of practice they have chosen to focus on improving the function and beauty of the face and body, as Dr. Richards has. Why should I choose Dr. Mark Richards? All physicians complete medical school, but not all cosmetic surgeons go through a recognized surgery program. Why should a patient choose a board certified plastic surgeon? Board certification indicates a plastic surgeon has completed at least six years of board-recognized surgical training after medical school, with a significant part of that time spent in a plastic surgery course. This intensive, in-depth training prepares plastic surgeons for the rigors of the field, including learning technical skill and aesthetic judgment. To remain board certified, plastic surgeons must complete continuing education courses and abide by recertification requirements. This ensures that the physician is up to date on the latest techniques and technologies and remains at the forefront of the field. Dr. Richards is honored to be recognized by a prestigious group of medical organizations and institutions. His practice has been singled out for praise in publications, TV news pieces, and medical journals. He has been invited to lecture at numerous national and international cosmetic surgery conferences, where he speaks as a high-profile expert in the field of plastic surgery. 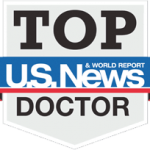 Since 2002, Dr. Richards has received annual recognition as one of America’s Top Surgeons by the Consumer’s Research Council, and he was also named a Top Doctor by U.S News & World Report. He is particularly proud of his contributions to a safer, more effective liposuction technique, as well as an arm lift method that results in minimal scarring. Both innovations were detailed in separate articles in the Aesthetic Surgery Journal. These recognitions and others speak to Dr. Richards’ commitment to excellence as a cosmetic surgeon. Most recently, Dr. Richards has had the honor of being included in Trademark Who’s Who Top Doctors Honors Edition. As part of its platform, Trademark Who’s Who profiles a carefully selected faction of elite physicians from a comprehensive range of medical fields. Several criteria are weighed to determine who will be admitted to this esteemed directory, and Dr. Richards was singled out not only for his exceptional results, but also for his talent, discipline, humility, patient-focused approach, compassion and kindness, and peer references. Trademark Who’s Who has been publishing a version of its registry for more than 100 years, and the service is dedicated to identifying the top talent in an array of industries. In addition to his national and international awards, Dr. Richards has also been celebrated closer to home. The Washingtonian has selected him as one of the leading plastic surgeons in the metropolitan Washington DC area. Baltimore Magazine similarly lauded him with the distinction of being “the doctor to go to” when seeking aesthetic enhancement in Maryland. Dr. Richards was also elected by his peers as President of two esteemed medical associations: the National Capital Society of Plastic Surgeons and the Montgomery County Medical Society. Furthermore, numerous local media outlets, in pursuit of an expert opinion, petition Dr. Richards for help during their research. Ageless Impressions – Plastic Surgery Institute and Dr. Richards offer a wide variety of cosmetic surgical procedures, non-surgical skin care treatments, and restorative bio-identical hormone therapy to help our patients achieve their goals with beautiful, natural-looking results. If you have additional questions about our experienced plastic surgeon, or if you wish to schedule a consultation with Dr. Richards, please contact us today.